Plusquam Records presents a new EP by the upcoming Danish producer Multiphase - the soloproject of Jannick Andersen, who is also a well-known representative for Iboga Records as DJ pr0fane. On this brand new EP there are two new Multiphase productions. 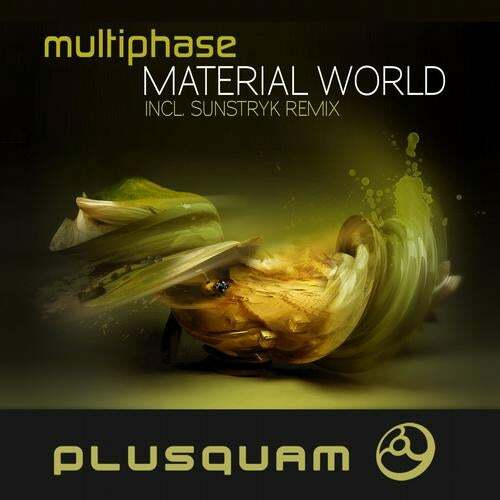 The first one, the title-track "Material World" is a 136 BPM pumping progressive trance track for the dancefloors with big delayed stabs and distinct morning melodies. The second track, "Sloth" is a collaboration with the Danish producer Philbert and relies on a more groovy rhythm, progressive house influenced stabs and a generally more laidback, dreamy vibe.